Proper maintenance of your TORLYS floor is essential to prolonging its life. Simply download the product care maintenance instructions to learn more about this important component of helping your TORLYS floor look beautiful for years. Specially formulated floor cleaner designed to clean all TORLYS Leather, Hardwood, Laminate and Cork flooring without damaging them. For easy removal and reapplication of TORLYS Floor Dressing. Our complete all-in-one floor maintenance kit for TORLYS Leather, Hardwood, Laminate and Cork flooring. Mop handle and mop head. Micro-fibre cleaning cloth – washable and reusable up to 300 times! 750 ml bottle of TORLYS Natural Glow® Floor Cleaner – Specially designed to clean TORLYS Leather, Hardwood, Laminate and Cork flooring without damaging them. Dust-mop (with a non-treated, clean mop) or vacuum floors regularly to remove loose soil and fine dust particles that can scratch finished floors. Wipe up spills on floors immediately with cloth or sponge. 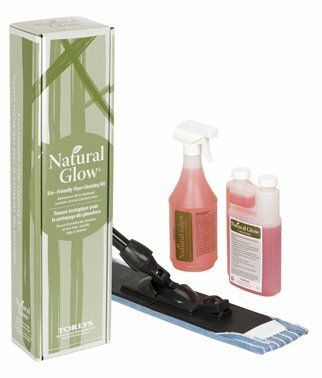 Clean as required with TORLYS Natural Glow® Floor Cleaner. 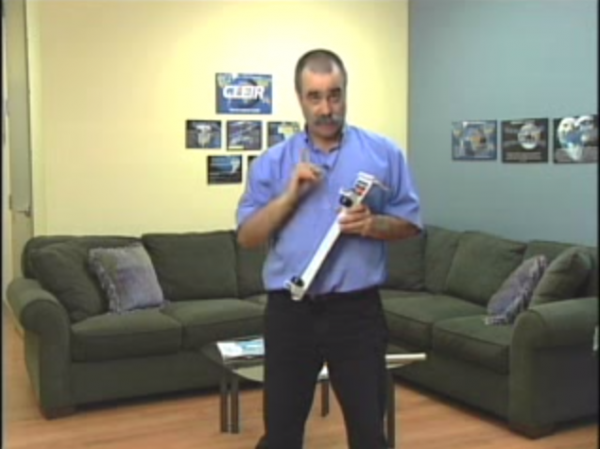 Use only TORLYS recommended floor maintenance products on your TORLYS floor. Never use wet mops, highly acidic or alkaline cleaners, non-recommended commercial floor cleaners or polishes, treated mops that have been used to clean other floors or furniture. Place felt floor-protector pads on furniture feet and protect your floor from hard castors on moveable furniture. High heels and pet nails can cause permanent indentation in floor surfaces. Use caution when wearing high heels, and keep pets’ nails trimmed. 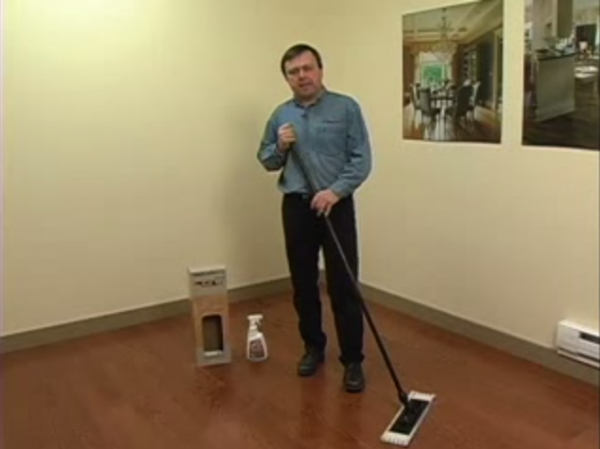 70% to 80% of dirt on the floors in your home is tracked in from the outside. One square yard of matting can capture one pound of soil. Use entry-way (non-skid, cotton) mats to capture tracked-in dirt and soil, and clean them regularly. Rubber or fibre-backed mats may stain or scratch floor finish. To help minimize expansion and contraction of your TORLYS floor, use a humidifier or dehumidifier to maintain an even level of humidity. The recommended humidity range for all TORLYS floors is 30% to 60%.